I had wanted to write a bit about clonality and the resources we have at our disposal in our toolkits since chatting to Zhian Kamvar and Nik Grünwald about their R packager poppr (Kamvar et al. 2014). I’ve been thinking about this clonal conundrum even more of late while getting some manuscripts off my desk and chatting more with Zhian about poppr . Using genetic markers, there are several hallmarks that one might expect to encounter if clonality has occurred, including repeated genotypes, heterozygote excess and linkage disequilibrium. However, detecting any sort of asexual propagation (fragmentation, mitotic divisions, parthenogenesis), can be difficult as infrequent events of sexual recombination can remove those clonal signatures (e.g., Halkett et al. 2005). Repeated genotypes are one of the most obvious signatures of clonality. Two identical, repeated multilocus genotypes can either be the result of sampling the same clone or sampling two different genotypes (aka individuals or genets) that originated from two distinct sexual events yet share the exact same alleles at all loci (Arnaud- Haond et al. 2005). In order to determine if the two identical genotypes are clones, you can calculate Psex, which is the probability for a given multilocus genotype to be observed in N samples as a consequence of different sexual reproduction events. If Psex > 0.05, duplicated genotypes should be treated as different individuals. In contrast, if Psex is < 0.05, then you would treat the two genotypes as clones. But when to delete a clone and when to keep a clone? I had not really thought about this issue. During my PhD, I only worried about the inclusion of a repeated genotype that was likely the result of a sampling error. This was the case in the populations of Chondrus crispus we sampled in Brittany, France (Krueger-Hadfield et al. 2011, 2013). However, as a newly minted PhD, I was involved in two projects in which I was beginning to puzzle of when to delete and when to keep a clone. 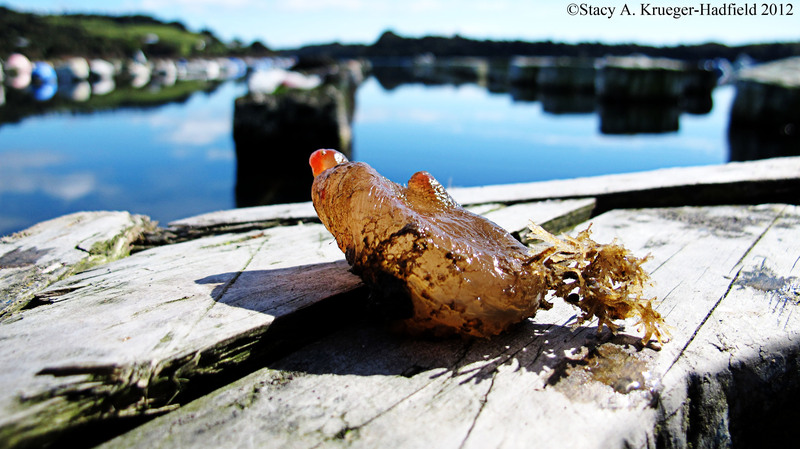 The first project was investigating the genetic structure of an invasive ascidian. Many individuals share the same genotype in a population. What about bloom-forming microalgae, such as Emiliania huxleyi? The biomass of the bloom “population” will contain many repeated genotypes (see Krueger-Hadfield et al. 2014). 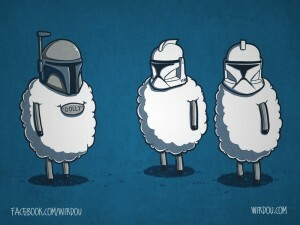 The clones will matter in the population. Are blooms dominated by many repeated genotypes or a few repeated genotypes? Perhaps it is necessary to discriminate between the types of organisms for which Psex has been previously used. One of the original authors of the program GenClone, Sophie Arnaud-Haond, has done some excellent work on population genetics in clonal organisms (Arnaud-Haond et al. 2007) and especially in seagrasses (e.g., Arnaud-Haond et al. 2012, 2014, Massa et al. 2013). 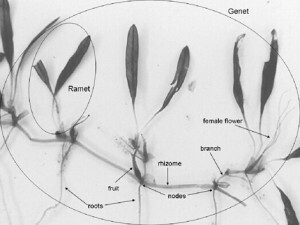 In seagrasses, clonality could be characterized as a mode of ramification in which clones stay connected together (see image below). In contrast, if we consider clonality as a mode of reproduction, then clonality generates biomass that is ecologically relevant in the population. Repeated multilocus genotypes might warrant being kept in the dataset. 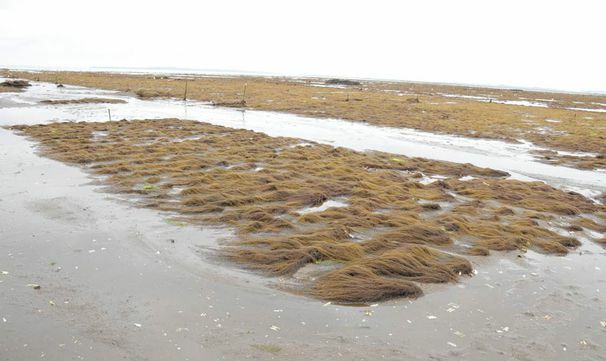 For example, the red seaweed Gracilaria chilensis is farmed for agar extraction in southern Chile. Farmers fragment individuals and stick them into the mud in soft-bottomed habitats. Guillemin et al. (2008) provided a very elegant study of the genetic and genotypic diversity between natural and farmed populations of G. chilensis. In the farmed populations, many of the thalli (or undifferentiated vegetative tissue) share the same genotype. Guillemin et al. (2008) analyzed both the native and farmed populations both including all repeated genotypes and excluding clones (i.e., the samples with Psex values < 0.05) and, thereby, provide side by side comparisons of population genetic parameters with and without clones. It is possible that farmers move thalli from farm to farm. Thus, repeated genotypes may be found in more than one “population.” What to do, then? How to divide up the repeated genotypes? Should the population-level info be retained? But, does this not beg a more philosophical question: What is a population? This is especially relevant for populations which might be the result of some anthropogenic factor, either farmed populations or maybe even introduced populations. Arnaud-Haond S, Alberto F, Teixeira S, Procaccini G, Serrao EA, Duarte CM (2005) Assessing genetic diversity in clonal organisms: Low diversity or low resolution? Combining power and cost efficiency in selecting markers. Journal Of Heredity, 96(4), 434-440. Arnaud-Haond S, Duarte CM, Alberto F, Serrao EA (2007). Standardizing methods to address clonality in population studies. Molecular Ecology, 16, 5115-5139. 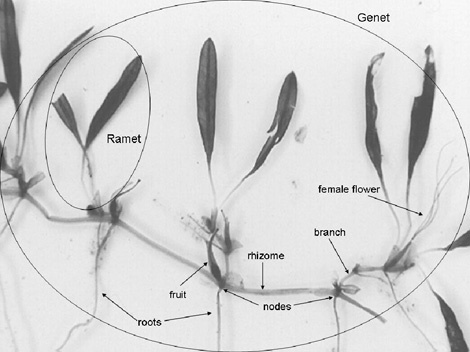 Arnaud-Haond S, Duarte CM, Diaz-Almela E, Marba N, Sintes T, Serrao EA (2012) Implications of Extreme Life Span in Clonal Organisms: Millenary Clones in Meadows of the Threatened Seagrass Posidonia oceanica. Plos One, 7(2). Arnaud-Haond S, Moalic Y, Hernandez-Garcia E, Eguiluz VM, Alberto F, Serrao EA, Duarte CM (2014) Disentangling the Influence of Mutation and Migration in Clonal Seagrasses Using the Genetic Diversity Spectrum for Microsatellites. Journal of Heredity, 105(4), 532-541. Guillemin ML, Faugeron S, Destombe C, et al. 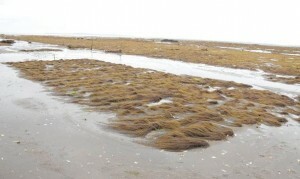 (2008) Genetic variation in wild and cultivated populations of the haploid-diploid red alga Gracilaria chilensis: How farming practices favor asexual reproduction and heterozygosity. Evolution, 62, 1500–1519. Halkett, F., J.-C. Simon, and F. Balloux (2005) Tackling the population genet- ics of clonal and partially clonal organisms. TREE 20:194– 201. Kamvar ZN, Tabima JF, Grünwald NJ (2014) Poppr: an R package for genetic analysis of populations with clonal, partially clonal, and/or sexual reproduction. PeerJ e281. Krueger-Hadfield, SA, J Collén, C Daguin-Thiébaut and M Valero (2011) Distinguishing among genets and genetic population structure in the haploid-diploid seaweed Chondrus crispus (Rhodophyta). Journal of Phycology 47:440-450. Krueger-Hadfield, SA, D Roze, S Mauger and M Valero (2013) Intergametophytic selfing and microgeographic genetic structure shape populations of the intertidal red seaweed Chondrus crispus. Molecular Ecology 222: 3242-3260. Krueger-Hadfield SA, Balestreri C, Schroeder JL, et al. (2014) Genotyping an Emiliania huxleyi (Prymnesiophyceae) bloom event in the North Sea reveals evidence of asexual reproduction. Biogeosciences 11: 5215-5234. Massa SI, Paulino CM, Serrao EA, Duarte CM, Arnaud-Haond S (2013) Entangled effects of allelic and clonal (genotypic) richness in the resistance and resilience of experimental populations of the seagrass Zostera noltii to diatom invasion. BMC Ecology, 13(39), 1-12. This entry was posted in Coevolution, community ecology, conservation, domestication, evolution, haploid-diploid, natural history, population genetics and tagged clonality, Psex, repeated genotypes. Bookmark the permalink.